One - cap Nigeria international Ugo Ukah is no longer looking for a club after appending his signature to a contract with FK Cukaricki on Thursday. The central defender was a free agent before agreeing terms with the Serbian Superliga campaigners, having failed to extend his expired contract with Jagiellonia Bialystok. “I have signed a one - year contract with FK Cukaricki, with option of an additional season. I started training with the club today, was given number five shirt” Ugo Ukah said to allnigeriasoccer.com. 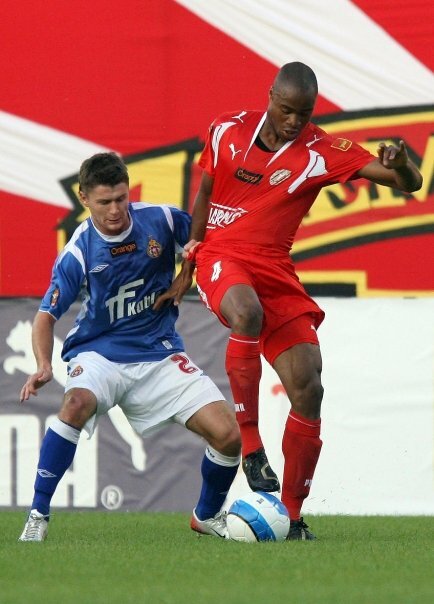 Ugo Ukah was on the books of a number of clubs in Italy including U.S. Brescello, Reggiana and Truentina before he left for England in 2005 to join Queens Park Rangers. He spent seven years in Poland representing Widzew Lodz then Jagiellonia Bialystok.